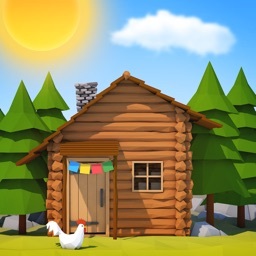 Weather Zombie by Lycos, Inc. 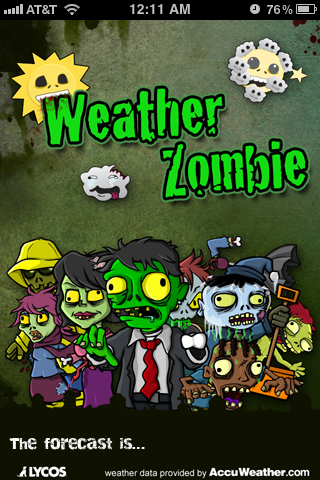 Weather Zombie capitalizes on the zombie trend by making over a traditional weather app with a zombie theme. All of the art and much of the text is designed to look like zombies, a cute idea that doesn’t really add much. 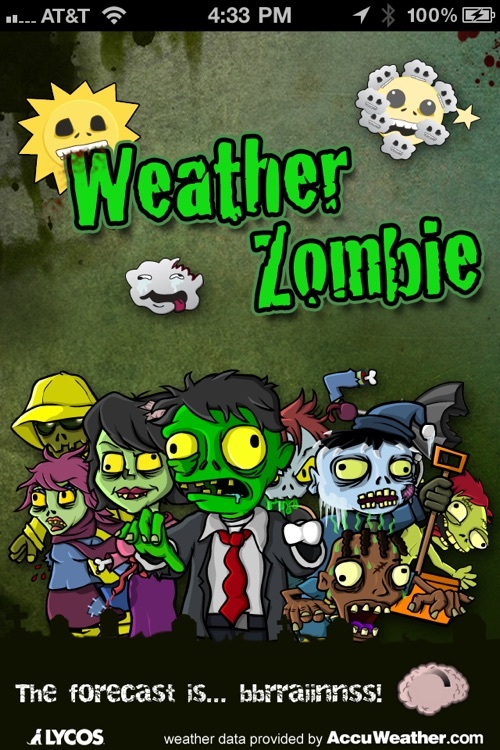 Still, Weather Zombie is an interesting twist on the genre that has all the necessary features (a daily, hourly, and weekly forecast, and a radar). 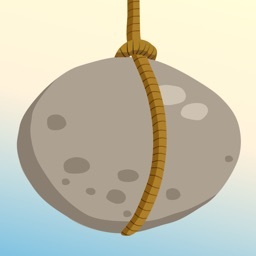 Weather. Just like the occasional zombie apocalypse, it happens. 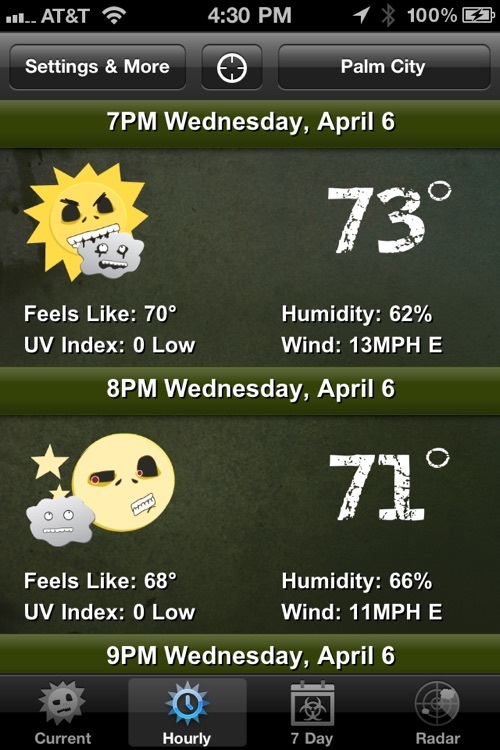 Now you can be ready for both with the Weather Zombie iPhone App. 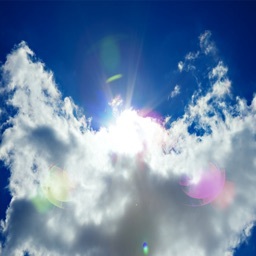 Sick of the living telling you whether it's going to rain or not tomorrow? Looking for more green ooze out of your forecasts? 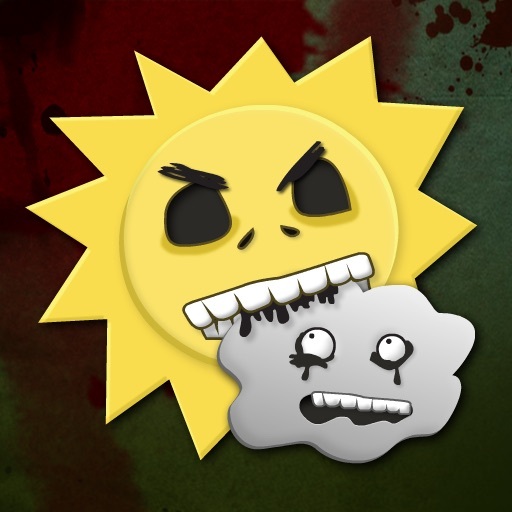 Our zombie meteorologists can help you out. 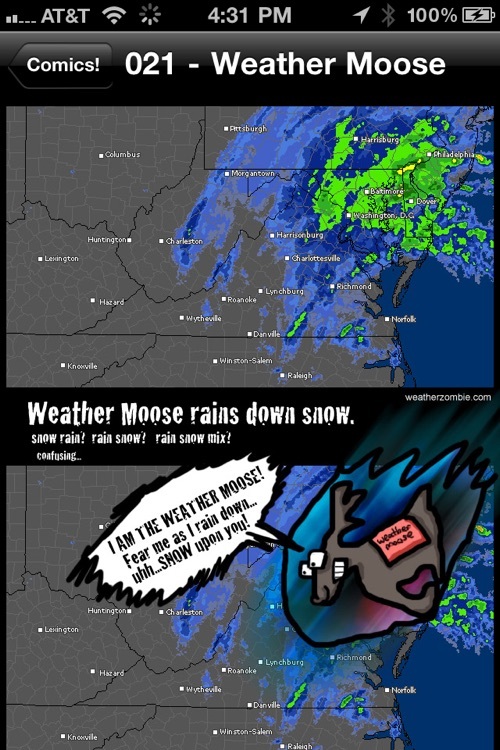 We've put together a best-in-breed team to let you know your current conditions, hourly and daily forecasts, as well as a few zombie-speak gems here and there. 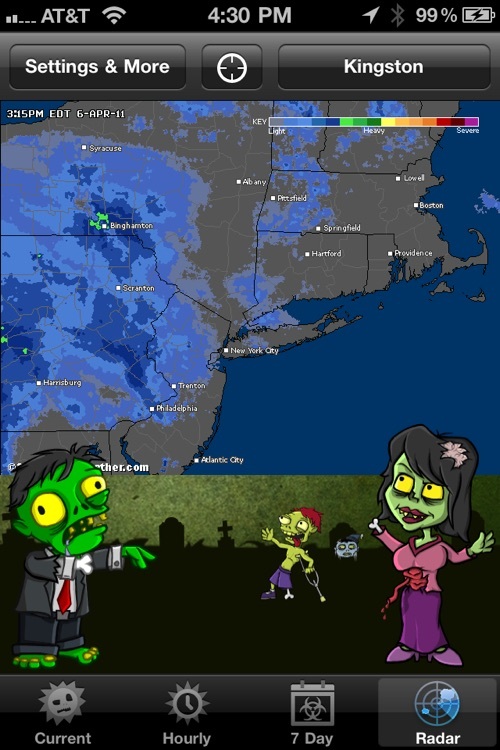 We've even got our zombie intern keeping track of the radar for you (mostly because we don't want him to do anything else... but that's beside the point). 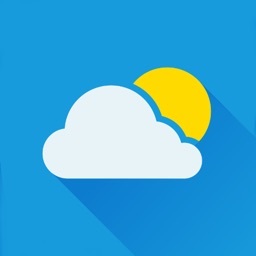 Whether you're trying to figure out if it's going to rain out today, if you can walk around unimpeded by brain-hiding hats and umbrellas, or if you'll have to deal with the increased smell of decay due to an unprecedented heat wave, this is the weather app for you. 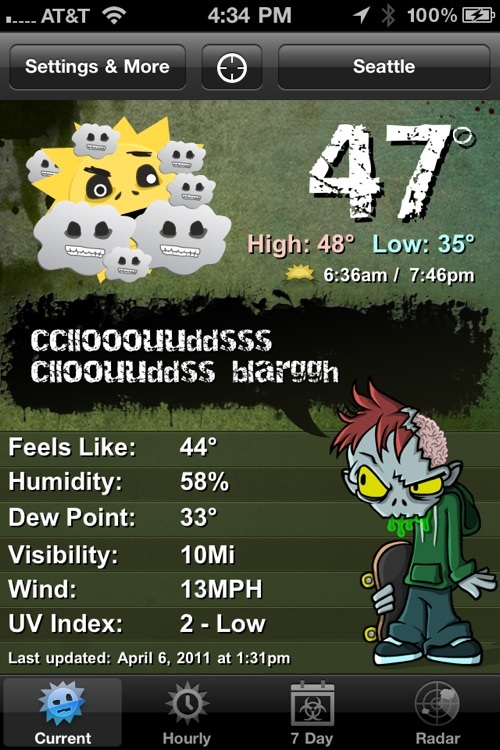 What could be better than a weather forecast given to you by zombies? Okay, besides brains. Today is the last show before our AppStart for iPhone series starts on Monday, and our host, Robin Rhys takes off for a special project. 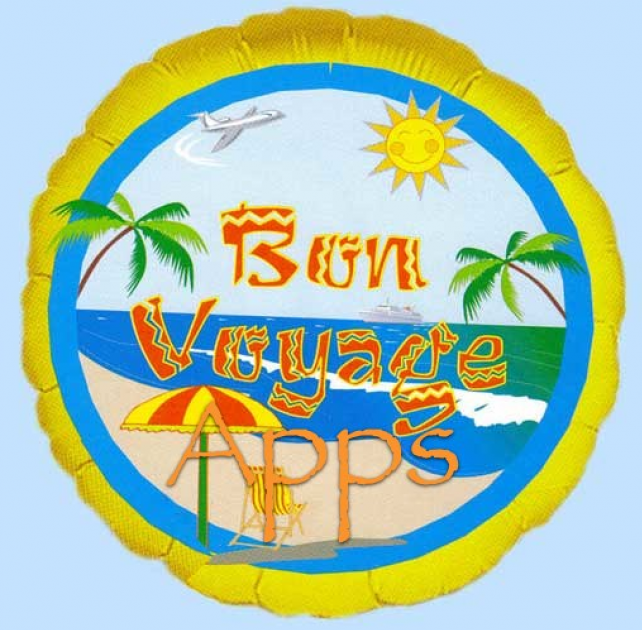 So what apps did she use to plan her trip? Watch today's show to find out.